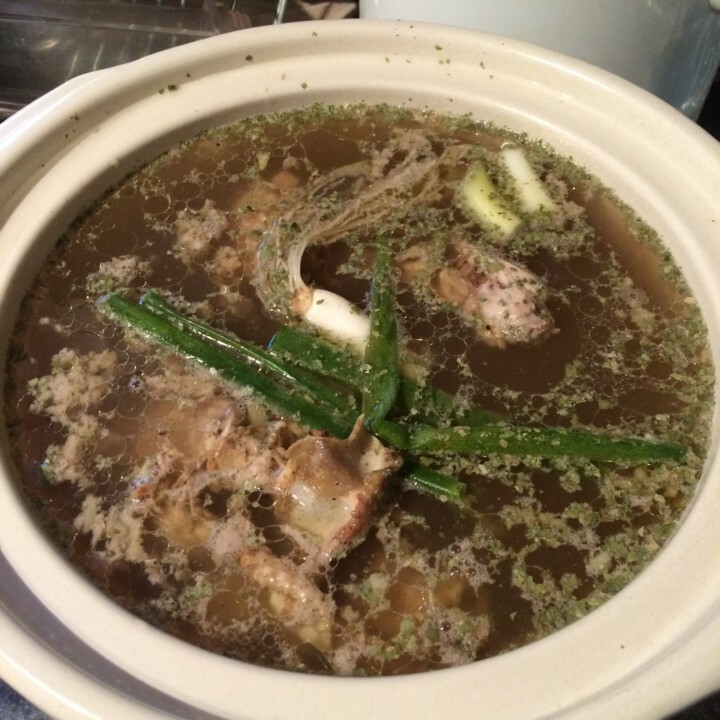 Want to learn all about bone broth before you make it? Read my original article “Bone Broth: Everything You Need to Know” first. Bone broth is an abundant source of minerals, like calcium, phosphorus, magnesium and potassium in forms that your body can easily absorb (YES! We want this). It’s rich in glycine and proline, amino acids not found in significant amounts in muscle meat (the vast majority of the meat we consume). 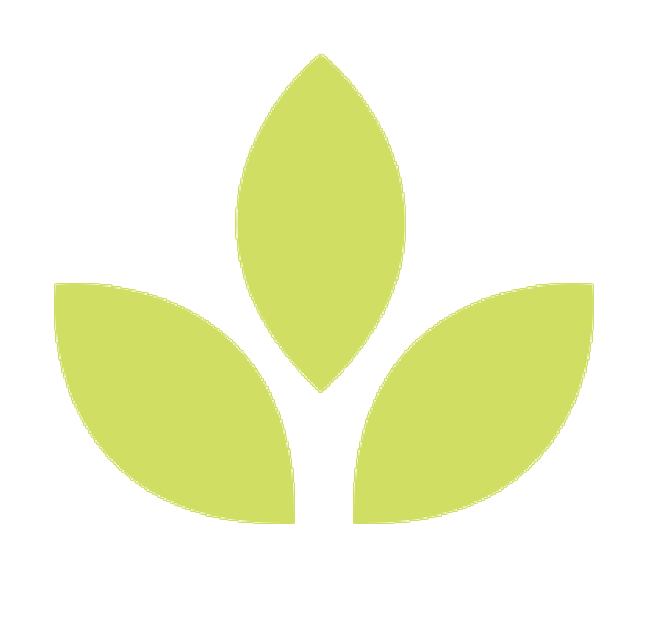 It also contains chondroitin sulfate and glucosamine, the compounds sold as supplements to reduce inflammation, arthritis, and joint pain. Collagen is growing in popularity these days as a superfood protein supplement that is both non-allergenic, easily digestible, easily assimilated by the body and all around awesome for gut health, plus the health and resilience of our bones, tendons, ligaments, cartilages, and skin. We want this. 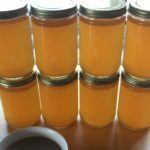 Ready to make your bone broth? See below. This simple recipe is perfect for beginners. 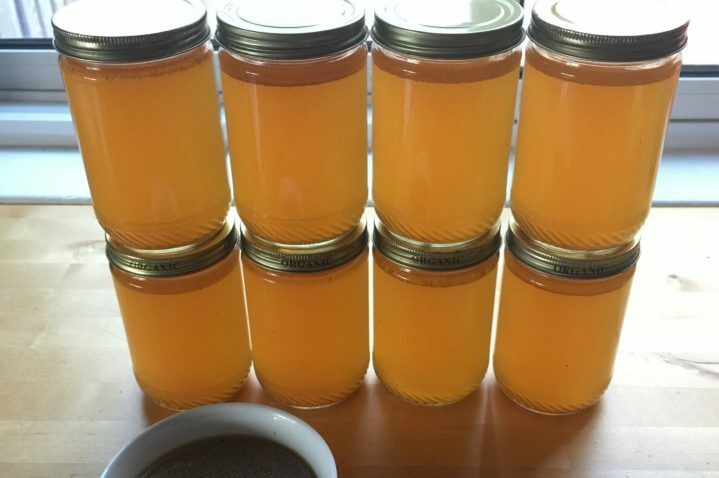 An simple, delicious, nourishing recipe for homemade bone broth. Bring to a boil, then reduce the setting to low for 12-72 hours. The longer it cooks, the better it tastes! Strain the stock through a fine mesh strainer into a large bowl, and discard the solid bone pieces. Let cool, then store in glass jars leaving a few inches on top (so the liquid can expand). Store in fridge for up to 4 days or freeze for up to a year. Note: Even if you don’t have a slow-cooker you can still reproduce this recipe on a stovetop, with a large pot on low heat.